Sometimes you would like to change the appearance of the calendar by hiding the day names or week numbers. This article will explain how you can acheive this. The calendar provides properties that control the visibility of its elements. DayNamesDisplayMode (DisplayMode): Gets or sets a value that specifies whether the day names will be visible. 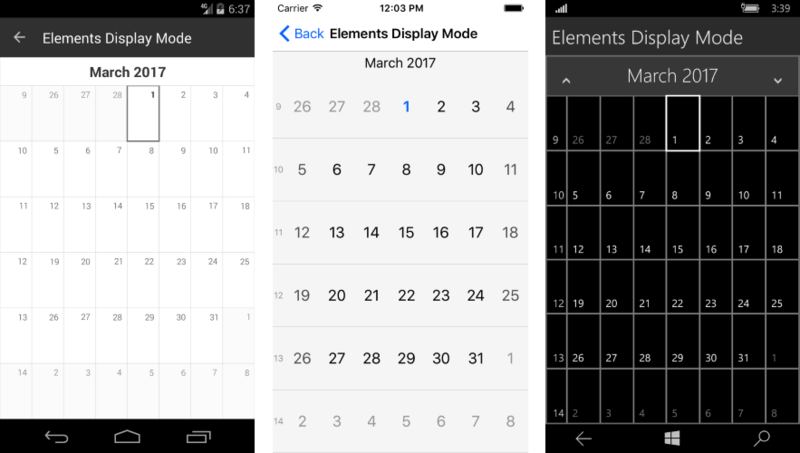 WeekNumbersDisplayMode (DisplayMode): Gets or sets a value that specifies whether the day names will be visible. Show: The element will be visible. Hide: The element will not be visible. Automatic: The visibility of the element will be determined by the value defined in the platform specific resources.